When I first started my blogging journey I had no clue where it would lead me, how I would use my platforms, or grow them. Over the first few years, I learned and observed as much as I could. I learned early on that as a new momma, my message of post-partum, living with depression/anxiety and being a corporate employee was resonating with the community I was building. When I first started, I didn’t see myself as a writer or an influencer, much less a speaker. But once I realized that I had a true purpose and message to share: one of overcoming, achieving and seeking balance as a mom with a career. I knew I had to find my way onto a new platform, in front of people and/or on a “stage” somewhere. My first task was to seek out events that would be relevant for me to share my story at. 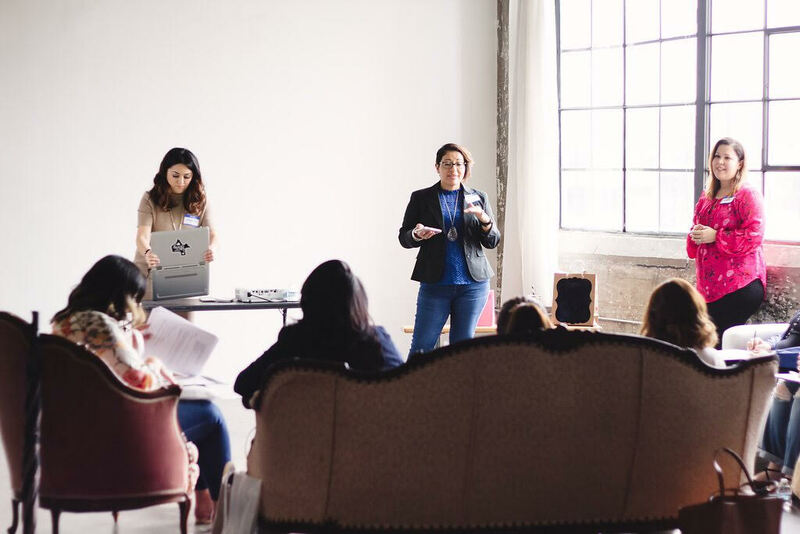 Naturally, a mom event was best, through my extensive networking and online searches, I connected with the creator of a pretty major local event for moms and remained on her radar. Eventually, she created a social media/motherhood related panel at one of her events and she asked me to be a part of it. From there I also created my own speaking engagements such as workshops and other meet-ups where I could speak at. 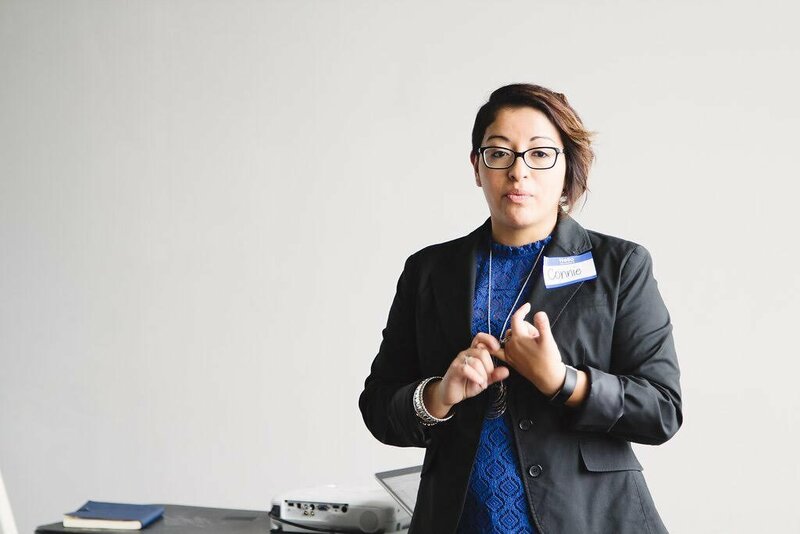 Through this, I gained experience, exposure, and connections to present as a speaker in various outlets. I have even done television appearances. These days I have big speaking goals in mind… I just have to make the right connection. Know your content. Select a topic that you know well. When you select a topic that you know well it’s easier to, one, create your speech and, secondly, to make it all flow naturally. You can’t speak about something that you don’t know about. That doesn’t make sense. Know how your content will impact the specific event. You should evaluate the event and your content and how it will help or enhance the events overall message. If it’s about social media and you’re an expert on a specific platform, be specific. And honestly, if an event is an amazing one but your expertise doesn’t fit, then you really shouldn’t participate. Select a good title for your topic. Give your talk/speech a catchy title that will get the attention of the event’s coordinators. This will also help them get to know your style. Know how will it resonate with the audience. Evaluate the potential audience and know how your content can truly resonate with them. 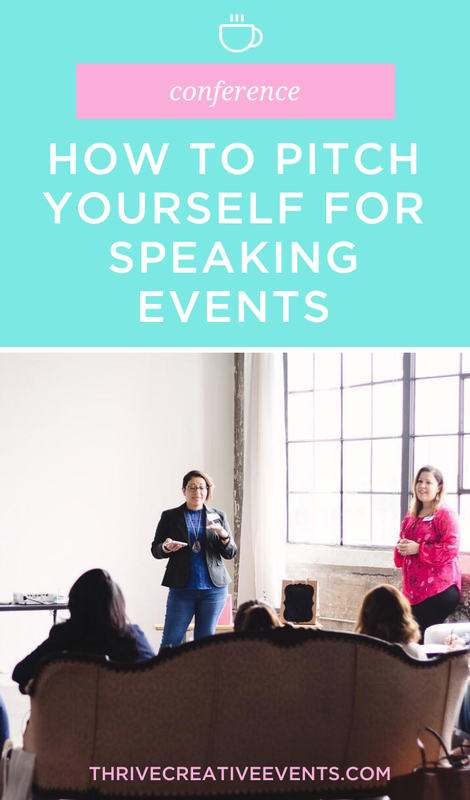 What can you talk about or add that will help the event coordinators know that your talk is relevant, needed and important to their event. Write a good speaker’s Bio which you should share on your website. You will want to list all your of accomplishments which can be used as a reference of your content knowledge. List any prior speaking engagements or events you’ve participated in. A good bio is important and you should have it in various formats- short 2-4 sentence bios and a full-length bio with a summary of who you are not just personally but professionally too. Have a good headshot. I’m not super big on posed pictures but I’ve learned over the years to treat my blogging journey as I would any other professional career. So, I’ve invested in taking good headshots with amazing local women photographers. You won’t regret it. Practice makes perfect. Make sure that before you get up in front of a large crowd you’ve practiced your speaking skills. Sometimes we think because it’s something we love that we can naturally do it. For me, my nerves often fail me. The more I practice my speech or responses the better prepared I am and the more confident I feel about it all. Connect with the event and their contacts. Like I stated above, I make sure to seek out events that would potentially be a great fit for me. I connect with them across my platforms, find out who the media/speaker connections are and always stay on their radar. 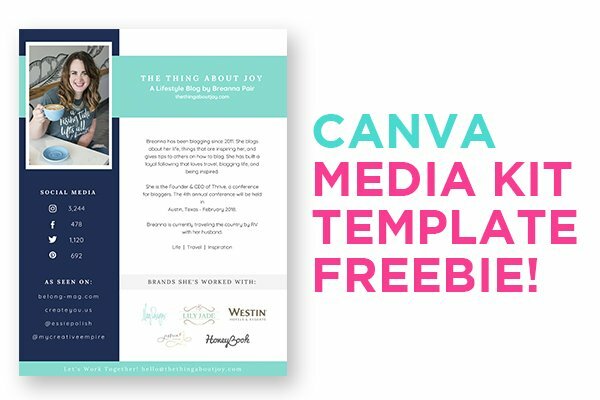 Create a template email or short inquiry message. Keep your messages short and direct to the point. It’s super easy to keep these messages in your drafts and simply introduce yourself, tell the event contact how you’d like to collaborate or work with them and what you can offer. Be professional and be yourself. If they say no, don’t take it personally and ask for them to keep you in mind when they do their call for speakers when it might be relevant to your specific area of expertise. Be brave and go for it! Seriously. The whole talk of “fake it ‘till you make it” is semi-real. You obviously can’t fake being an expert at a specific topic or being a speaker. But, have faith in who you are, what you have to offer and the fact that your audience is out there. Make it your goal and go for it! These days I speak to empower other women who want to live out their purpose and reach their goals. It’s been one of the most rewarding parts of my social media venture. Connie, better known as Momma of Dos. 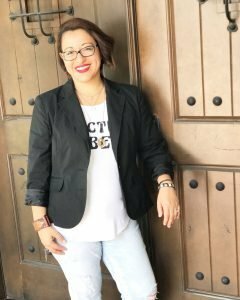 Born and raised Texan, she grew up in a small town near the Mexican border and moved to Houston in 1999 to attend the University of Houston where she received her Bachelor’s in Psychology. She has worked in the non-profit and governmental sectors for most of her career. These days she works around the clock to provide for her little Mexican-American family both in and outside the home. Her family is composed of her Husband who is also a University of Houston graduate and “Dos” amazing, children; Camila, 6 years old and Santiago, 8.